I can feel when it approaches. Anxiety and worry fill my mind and often I lash out at the ones I love. I start to control anything and everything, including things that I shouldn’t. My sleep is interrupted with concern. After feeling miserable (and making others miserable), I realize that I have allowed my enemy FEAR to overwhelm again! The above scenario has occurred again and again during the decades of my life. In my 20’s, 30’s, 40’s and even now in my 50’s, I have allowed fear to reign far too often. I have tried many different fixes (complaining, crying, getting mad, shutting down), but the only one that has truly calmed me is running to God’s Word. There is the only place I find comfort and hope. Only faith in God can actually calm my fearful thoughts and heart. I often ask myself, “who in the Bible has experienced what I am experiencing?” And God has faithfully revealed stories within the pages of his Word who have been where I am. When it comes to fear, in God’s Word, I find people in fearful situations who have experienced the same emotion I have. As I read, I see God’s faithfulness carrying them through their fear and this gives me hope. I am able to release my fear by focusing on God’s truths. Only when I focus on God’s truth, do I find relief, hope, and joy. 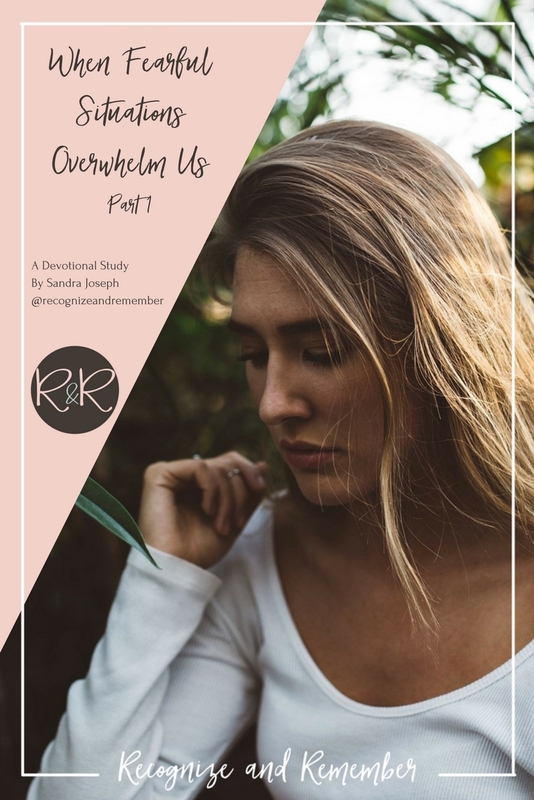 I have shared these Scriptural truths with many through coaching and mentoring, and now I want to share them with you through Recognize and Remember’s Devotional Study on Fear. I hope you will join me as we dig deep into the study of a fearful widow who had little, yet chose to trust God and experienced His faithfulness. I pray that God blesses you exceedingly abundantly in all areas of your life, ministry and coaching! God bless you for moving forward with Holy Boldness!! I see you will bless many with this devotional. Go ahead my Sister and let God use you to move others towards not only their healing but their potential as well!!! You have blessed and encouraged me today! !